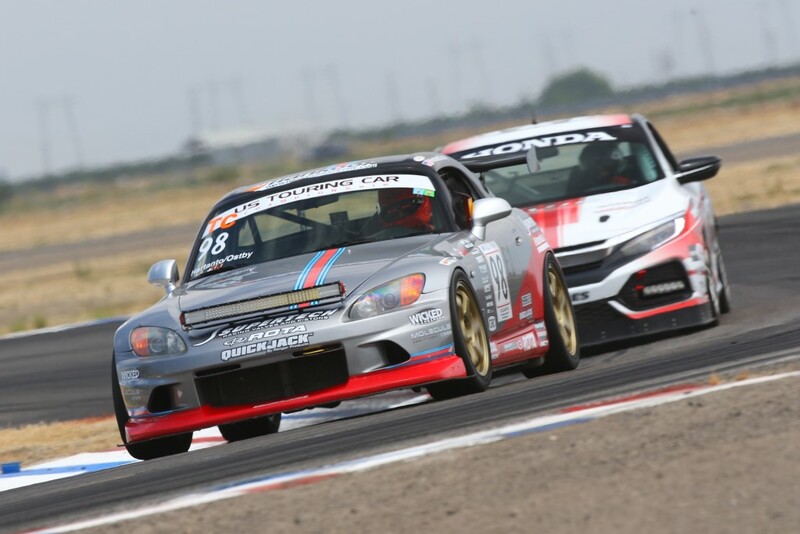 Led by Andrie Hartanto, Team Prima Racing embarked on their Honda S2000’s endurance racing debut with the NASA WERC series at Buttonwillow Raceway Park. Hartanto, a seasoned veteran of endurance racing worked with the team to devise a strategy, but nevertheless, a number of unidentified variables lurked. 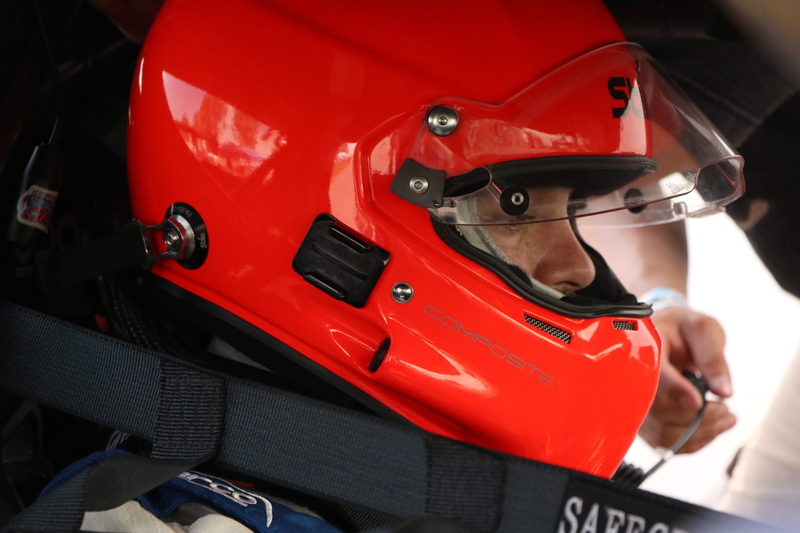 “Endurance racing is a different animal than your typical sprint race,” Hartanto explained. “Of course, there are far longer stints where drivers are expected to endure and the car sees some pretty extended use. Everything gets more use,” Andrie said before elaborating further. The team had yet to do any extended running with the S2000, and the car had seen zero night driving aside from public roads as a street car. Co-driver Michael Ostby had never done more than a 30-minute race and the endurance race was only his second race ever. “Michael is starting first. He will qualify for us and will run the car until it’s empty. 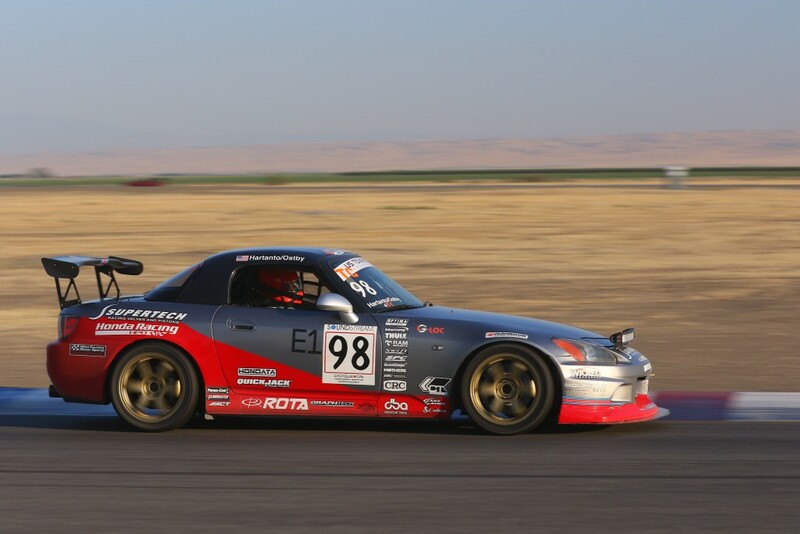 Our S2000 has an OEM fuel tank, so we’ve got a pretty good idea of how long we can run before we’re out of fuel. Michael will stop, we’ll switch drivers, fill up with the maximum-allowed ten gallons per the rules. If all goes well, I’ll take over and run til the end. We will have to come in for one more stop before the finish,” Hartanto stated, outlining the intended strategy. Hartanto had estimated a pit stop time of a little over three minutes in order to fuel the car. This would be more than ample time to execute the driver change, including installing the team’s custom seat mold so that Hartanto and Ostby could share the same seat without making any adjustments. In the week leading up to the event, the team laid out its preparations. Hartanto devised the strategy and developed specific roles for team members James Tam and Lee-Anne Ostby. 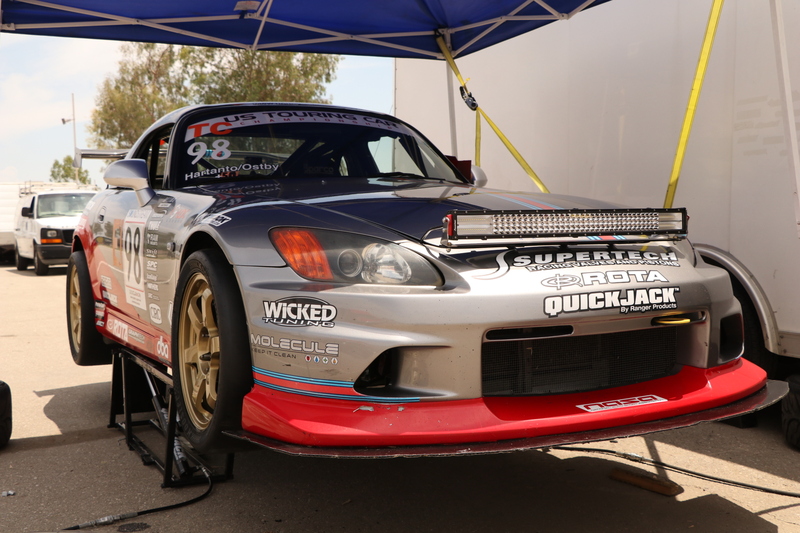 To mitigate the searing heat, which would be in excess of 100 degrees for most of the race, a CoolShirt system was installed in the car, additional sensors and programming were made so that the S2000’s AIM dash could provide relevant warnings and updates. 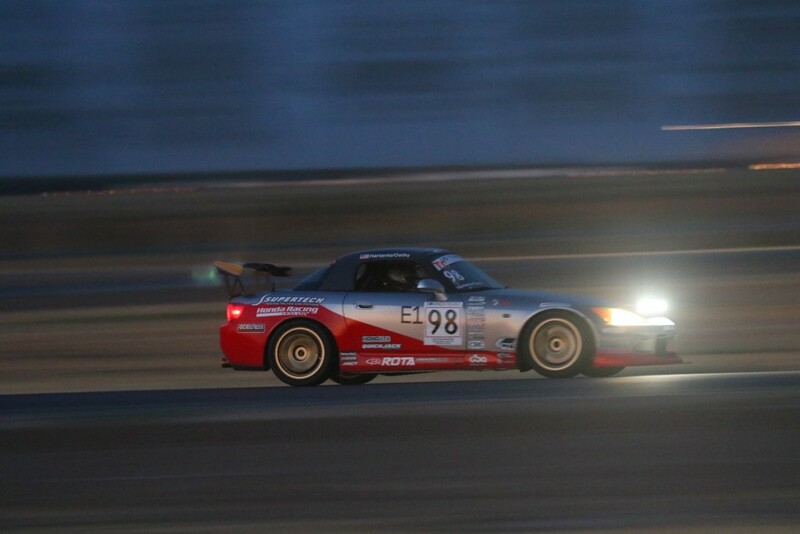 An LED light bar was fixed to the front of the S2000 to provide additional lighting, especially important during the last hour of the three hour race. Ostby set out to do a series of intense, extended cardio sessions to ensure that he could carry the first stint during the hottest part of the race. “I don’t have much experience to reach back into here, so I’m excited and very anxious. Like my first sprint race, Andrie has done a good job of limiting my driving expectations so that I don’t get ahead of myself and risk the bigger result for the team. It’s all about settling in and getting a good rhythm; preserving the car and being safe and consistent, as far as I can tell. I suppose the rest I’ll have to pick up along the way,” Ostby remarked. Only two days before the race, the team’s racing prospects appeared to be in jeopardy as Hartanto was injured as a result of an accident while riding his motorcycle during his morning commute. Hartanto narrowly avoided a collision with an inattentive driver, but was high-sided off of his motorcycle as a result. Despite the cuts and bruises, Andrie was still in good spirits. “I’m sore and it definitely hurts, but I know I’ll be fine once I’m in the car,” he said assuredly. Once at the track, the team set up and then practiced pit stop routines in order to perfect the process. 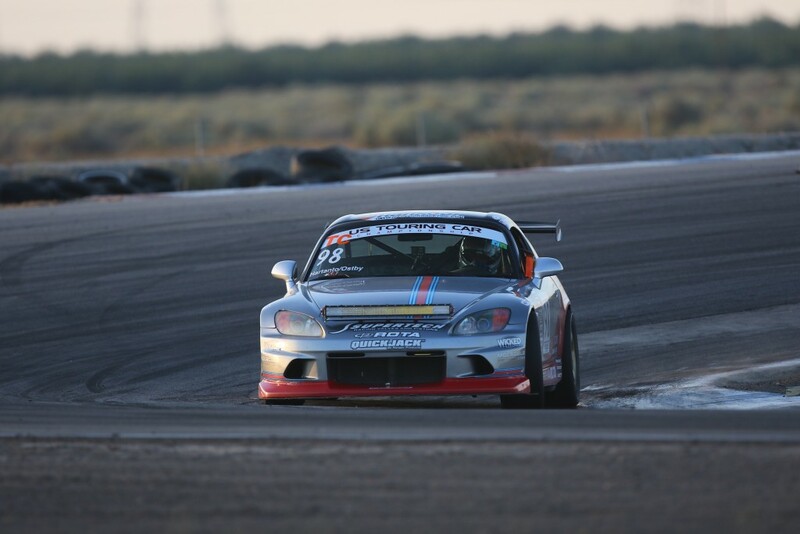 Hartanto tapped Ostby for qualifying duties so that he could become familiarized with Buttonwillow’s Counter Clockwise 1 configuration. 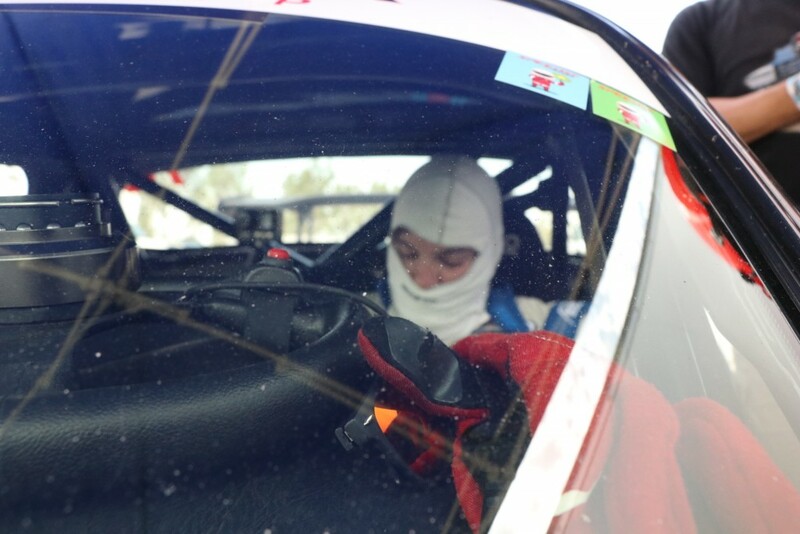 Michael Ostby tries to focus before taking to an unfamiliar track layout for qualifying. He would eventually go on to earn Pole Position in the E1 Class. “The last time I had driven CCW1 was back in 2012 while driving Prima Racing’s Time Attack RSX. That was five years ago and was only one day on the layout. I’m glad that quali doesn’t have as much significance as it would during a sprint race. Either way, I’ll be sure to do my best to get up to speed in the few minutes I have,” Ostby commented. Ostby spent the first few laps of quali behind a few slower-moving cars, exhibiting restraint. He focused on improving a few corners at a time as he circulated the track. On the final lap, he pushed a little harder across all sectors, knocking off nearly 1.5 seconds before the session ended. “It felt slow. 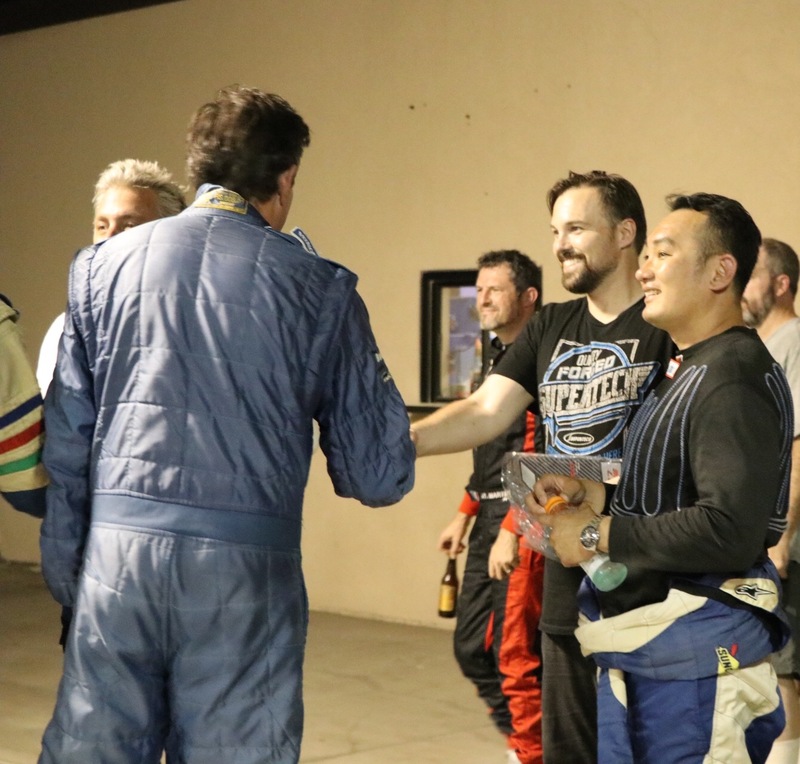 As I worked through the corners and strung things together, I got down to a low 2:08, which based on how things feel, was at least two seconds off of a reasonably steady pace and maybe three seconds off what I’d consider a really fast lap. So you can imagine my complete surprise when I was told that we got pole!” Ostby exclaimed. The start of the race would be coincidentally take place at the hottest part of the day. In addition to being Ostby’s first endurance race, it would also be his first rolling start. Starting from Pole Position for the E1 Class would allow Ostby to set the pace and get into a rhythm without having to chase down competitors. 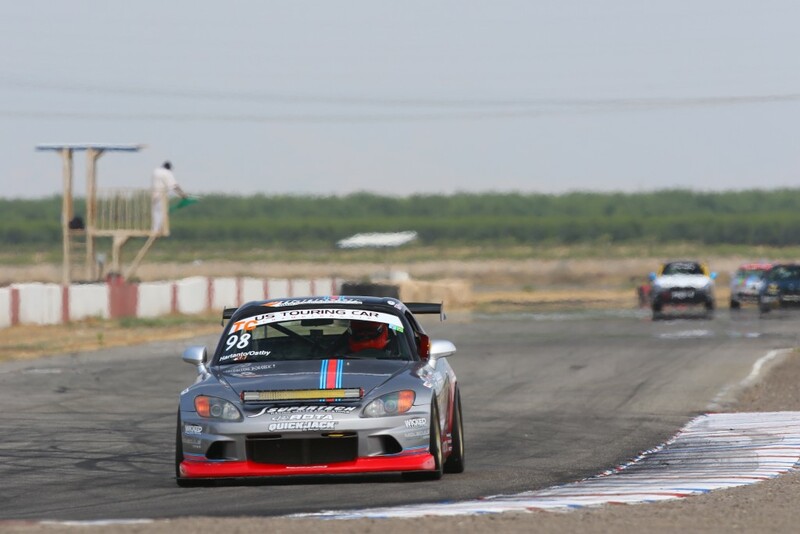 Unfortunately, Ostby suffered from a poor start; immediately dropping two positions as the green flag dropped. From there, it was clear that his driving form was out of sync from where he had previously been in qualifying. Average lap times were above the 2:10 mark. While Ostby held onto third position, the race became an uphill battle. He began to settle into a rhythm, but it wasn’t until Lap 22 that there was a consistent pace with a series of faster laps. Nearing lap 28, Ostby radioed to the team that fuel was nearly empty. His instructions were to remain out on track until he encountered fuel starvation issues. Near the end of Lap 30, the car began to stall from fuel starvation and the S2000 dove into the pits. However when he pulled into the pits, the team wasn’t ready. Miscues on refueling and equipment caused a delay, which meant that the team wasn’t ready to refuel the car in time. As a result of the delay, the team dropped from the lead lap to three laps down. Hartanto jumped into the car and got to work. Once Hartanto was able to push, his progress was hindered by additional stalling. The culprit was unknown, but power continued to cut off as he was driving. The initial assumption was that the earlier fuel starvation introduced excess air into the fuel system, or that fuel wasn’t being picked up consistently, but it couldn’t be determined. Despite his best efforts; cycling the car’s power on and off, tossing the car from left to right to move fuel from the tank to be picked up, nothing worked. Not only did Hartanto push hard, he recovered two laps on the rest of the E1 Class, logging a series of laps that were faster than the rest of the E1 Class’ fastest laps for the entire race. 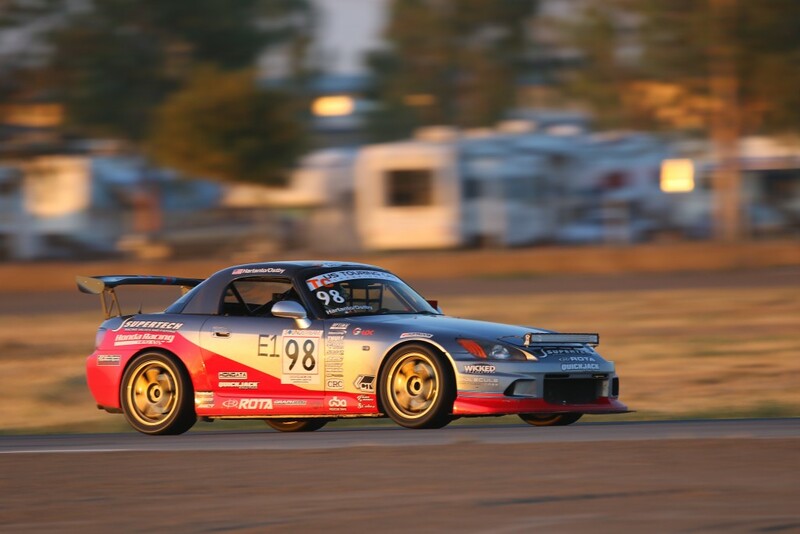 His fastest time was a 2:04.5; just over a second faster than any other E1 Class car’s best lap. 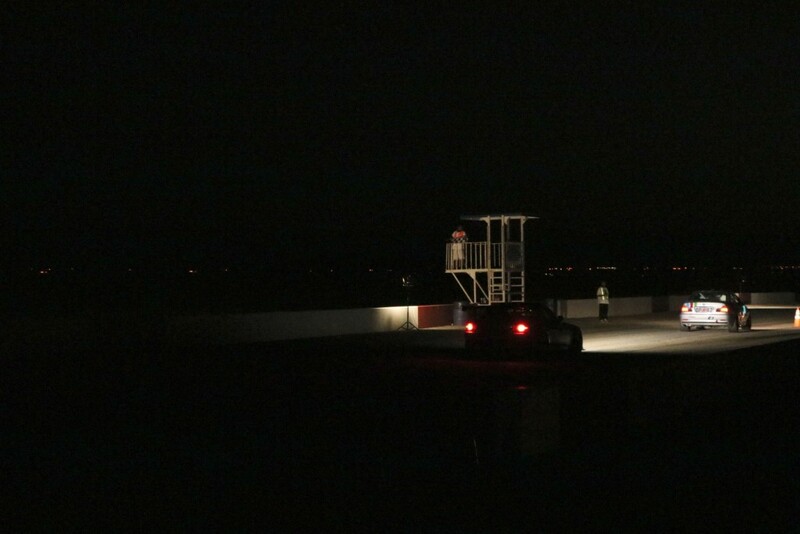 By this time, night was beginning to fall and the car was scheduled for another stop on Lap 54. Hartanto comes in for his final pit stop in hopes that the maximum 10-gallon fill-up will take the team to the end. Lee-Anne Ostby looks on as James Tam refuels. This time, the pit stop was perfectly executed, taking nearly two minutes less. Once Andrie was back out on track, he continued to put in consistent, fast laps. The team gained another lap and it appeared that the 2nd and 1st place cars were nearly within striking distance. Despite challenging visibility with the darkness and a windshield being covered in bugs, Hartanto pushed on. At the same time however, the car’s fuel level began to get lower. “We began to get dangerously close to empty and it appeared that we might just make it. We were a less than a lap away from putting ourselves back onto the lead lap and it felt like we could make a run at the guys in front. However we were near empty again, plus that’s when the checkered came out,” Hartanto said ruefully. 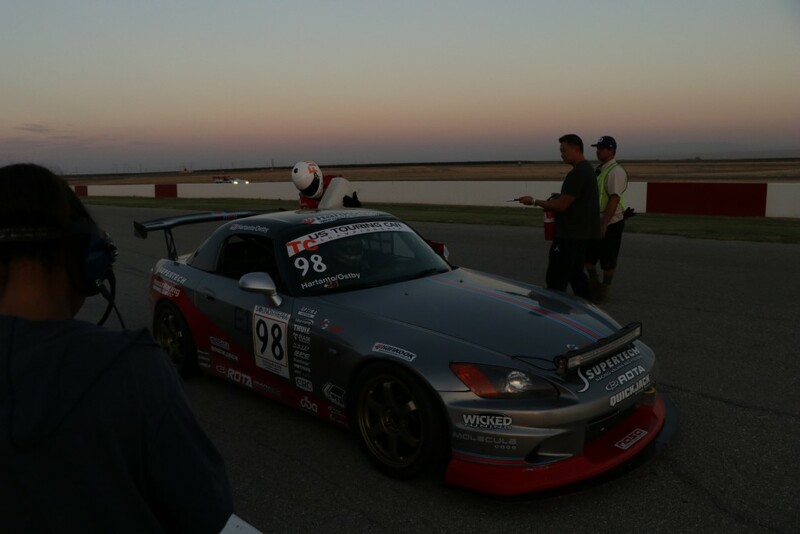 The Prima Racing team ended up with a podium finish, taking 3rd place in their S2000’s endurance racing debut. 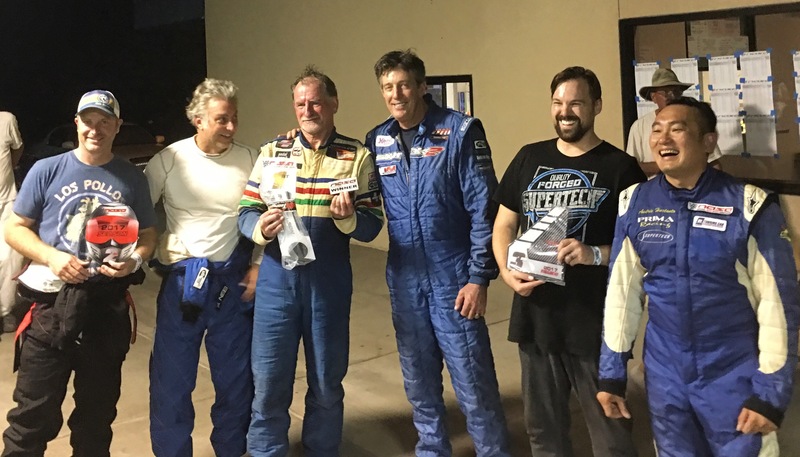 “It feels great to podium in our first endurance race and I’m glad to get this one under my belt. I’m not sure if it was the nerves or psyching myself out, whether it was driving in the heat for an extended period of time, the concern of committing an error that lets the whole team down, trying to drive conservatively, yet fast, or what, but I’m surprised it took awhile to settle in and actually turn some respectable laps. If I had driven like I did near the end of our stint, as opposed to how I did for most of the beginning, that would have bought us a ton of time. Andrie carried us tonight and I think we’re all grateful that he did. I took a lot away from this new experience and I’ll be sure to improve on a number of things before the next race,” Ostby explained, reflecting on his first endurance race and second race ever. “It was a good first race for us. We learned a few things tonight that will help us to prepare for the 25-hour race. Had we nailed our first pit stop, we would have been fighting for the lead, but that’s all part of racing. We’ll need to address the fuel starvation issue, plus look to try and improve our fuel economy before the next enduro. 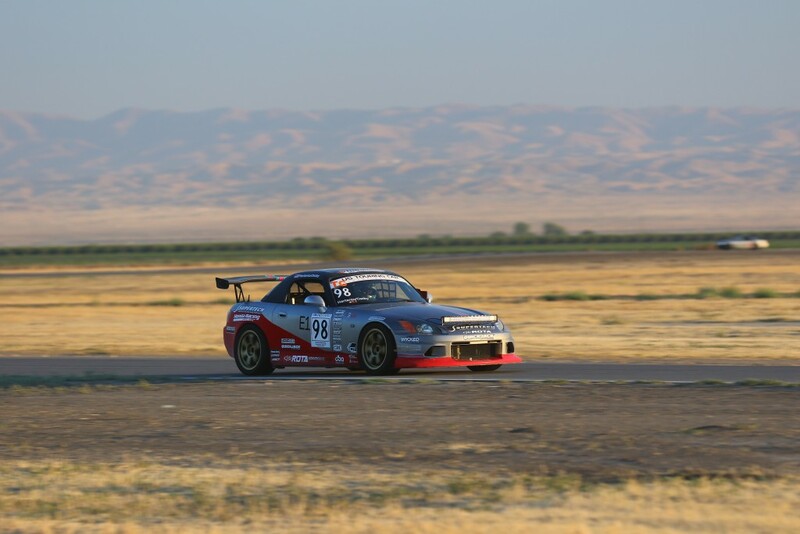 We have our summer break from racing in July, but we’ll be at a few events this coming month to make sure that we’re improving the driver and the car before our next USTCC race in August,” Hartanto. 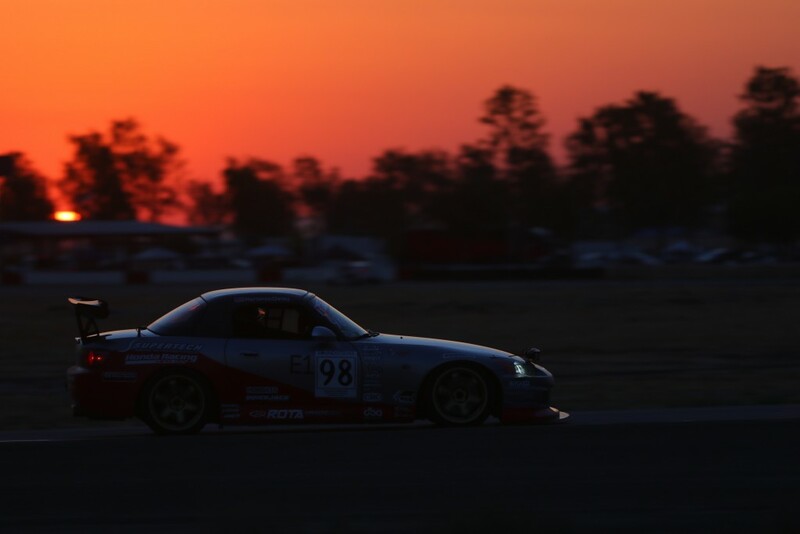 Next up for the team is Round 4 of the USTCC Season at Thunderhill, where Hartanto and Ostby will look to reclaim the lead in the TC Class.